Many ask me ..how to know how bad your WiFi is...or is it worth using a normal WiFi? Or must I get DUAL BAND 5Ghz (aka 5G)?? Answer.. it all depends if your frequency band is congested. 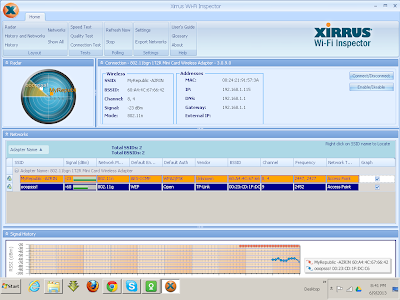 I use Xirrus WiFi Inspector and I have the link here :: http://bit.ly/FTTH-WiFi-Inspector . 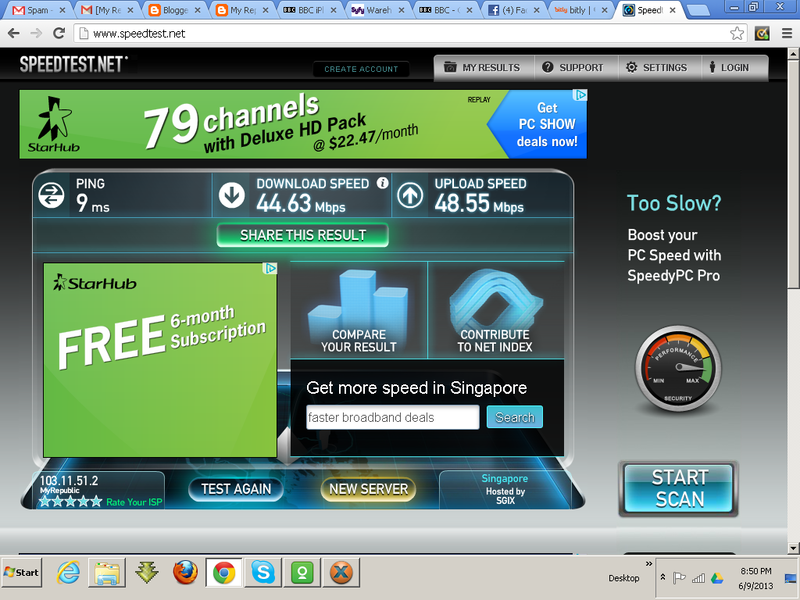 and I don't intend to hotlink due to it being a copy righted software. Use it once and delete it please. This is a standard SOP item issued to SingTel installers working out the frequency jam and avoiding it. Now then, HOW DOES IT WORK? 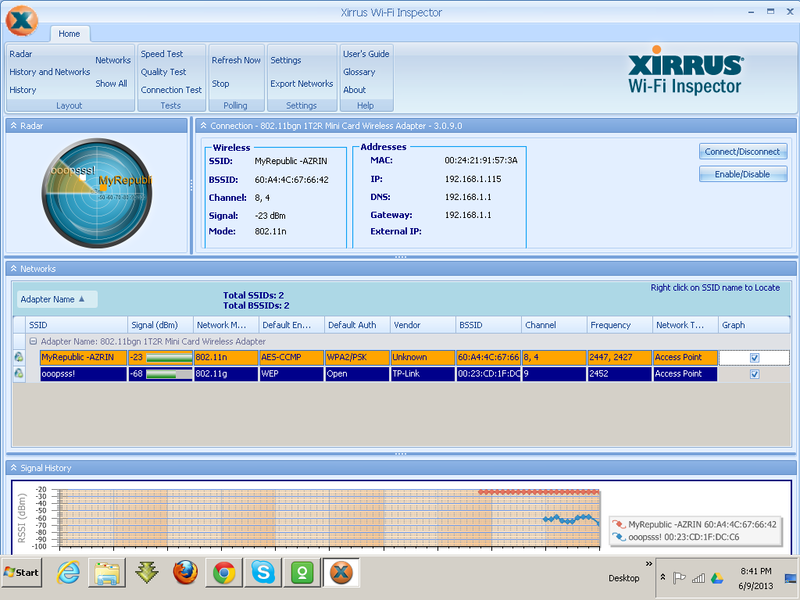 After you load it.. it will show what statistics your current WiFi is... and the frequency. Anything more than -35 db is BAD and -60db is a dead use..worse than ADSL. From this.. it will show what is in range, the frequency , bandwidth and channels in use. The encoding is also shown.. whether I am using WEP or WPA2 , hardware and such. WEP is crackable...using Aircrack-NG but that is another subject altogether. If you sort by frequency...then you see either N channel or G channel accordingly or even by 5Ghz bandwidth.. My old MSI VR220 is an ancient machine..so you only get to use 2.4Ghz N channel. 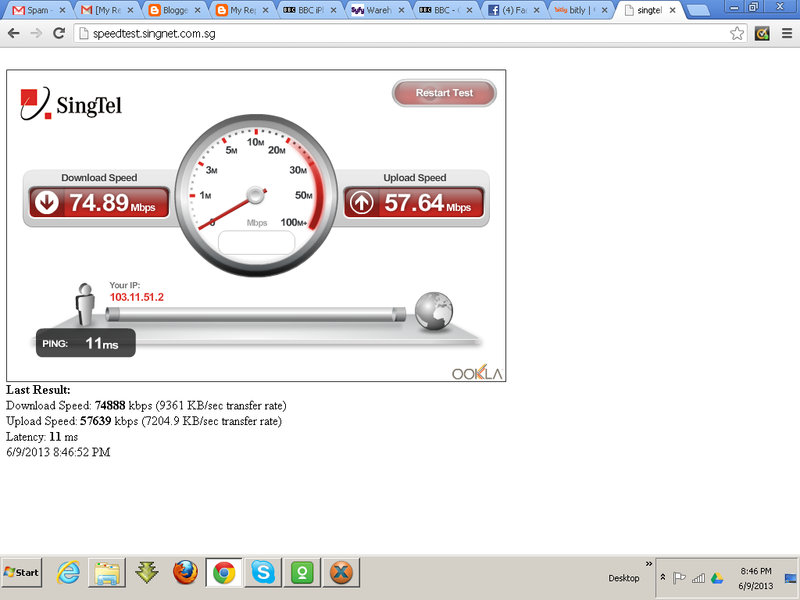 So check it out..and if you cannot see any 5Ghz N channel... maybe your card cannot support it. If you have to use USB ...forget it! 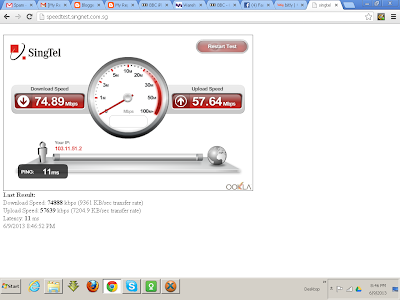 You only get about 60Mbps max .usually.... even on the Asus N56U. 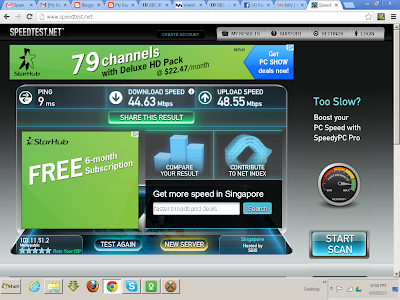 Using SingTel Speedtest....the Magix uncongested server... I get a burst up to 75mbps with 30cm away from the router... Can't help as my kids destroyed my LAN port. So.. if you have congested WiFi... Channel Also used up or anything over 8 WiFi AP/SSIDs?? The N66 will give better bandwidth...due to the 5dbm antenna and 5Ghz N channel... it passes thru 4 walls with the end inside a bunker getting 15-30mbps....which is still acceptable.